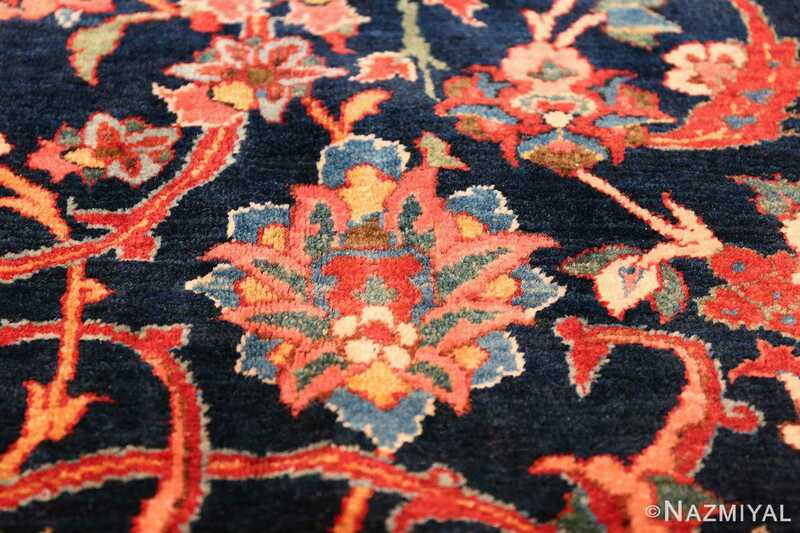 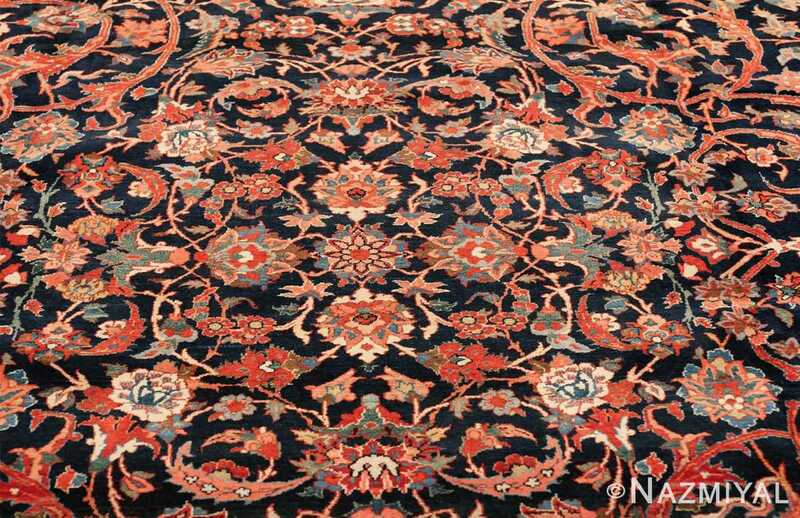 Arching saz leaves, Shah Abbasi palmettes and lush carnation blossoms adorn this stunning Persian Bidjar rug, forming an allover arabesque full of classic details. 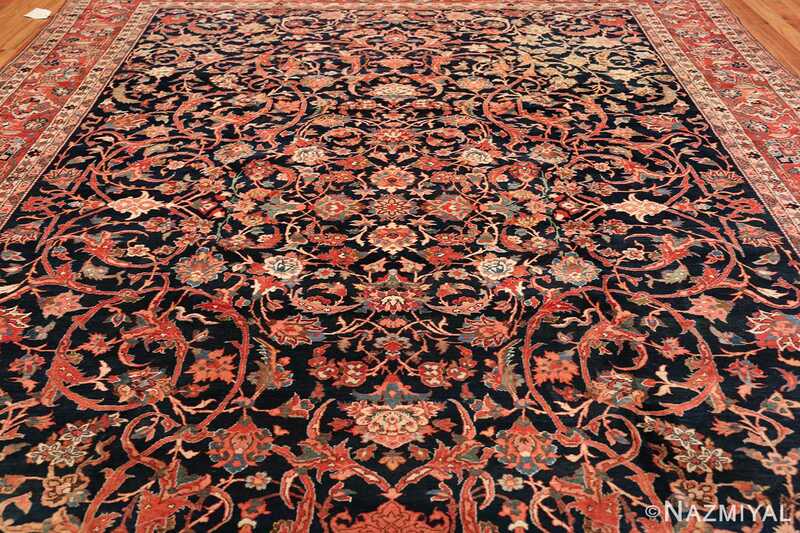 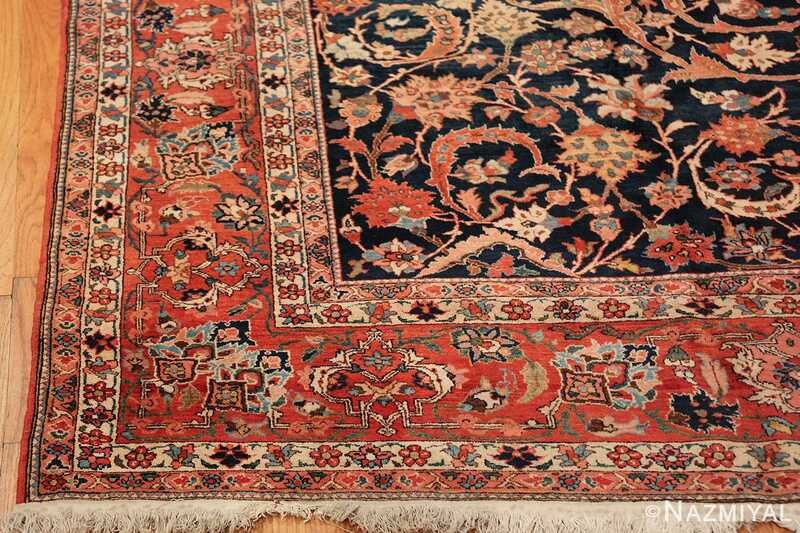 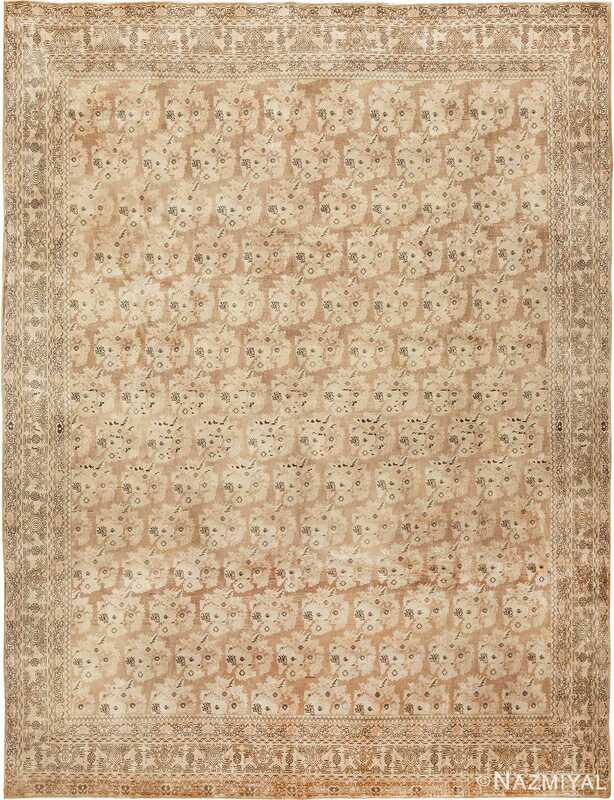 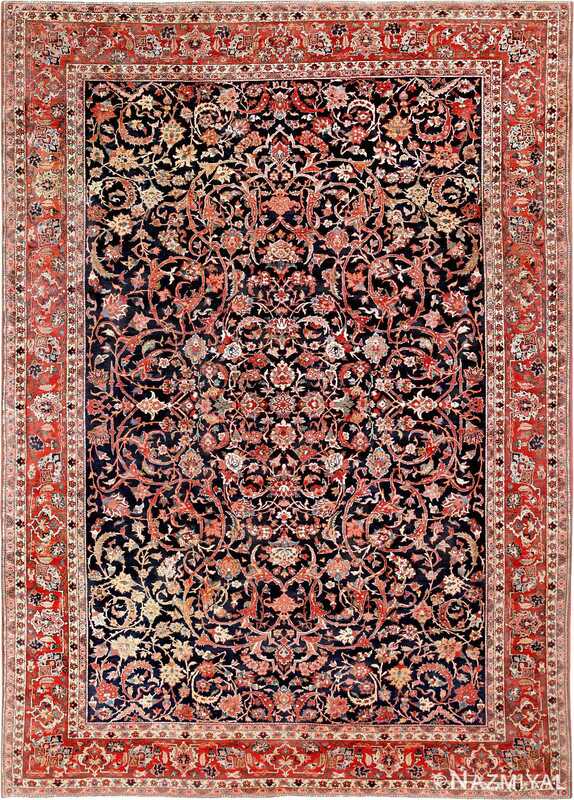 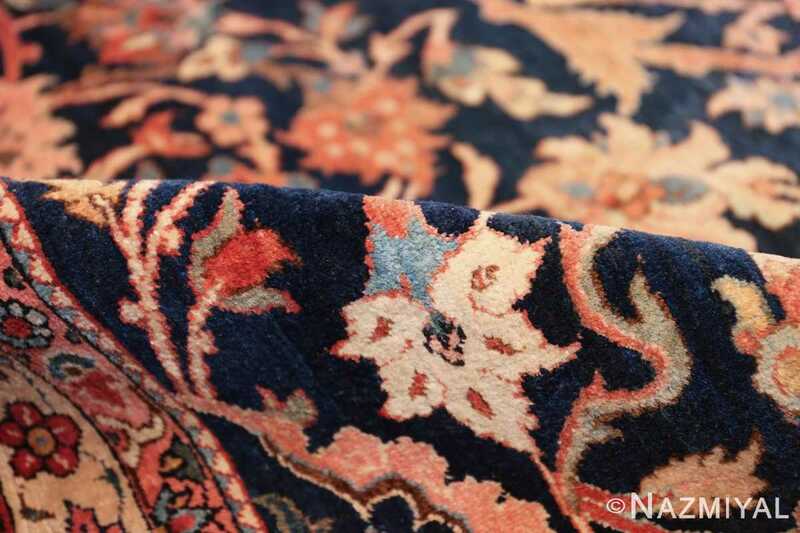 Vintage Persian Bidjar Rug, Origin: Persia – This awe-inspiring room-sized carpet from the famed village of Bidjar showcases a superlative allover arabesque with extreme curvilinear decorations that represent a compilation of classical motifs inspired by Persia’s great weaving centers. 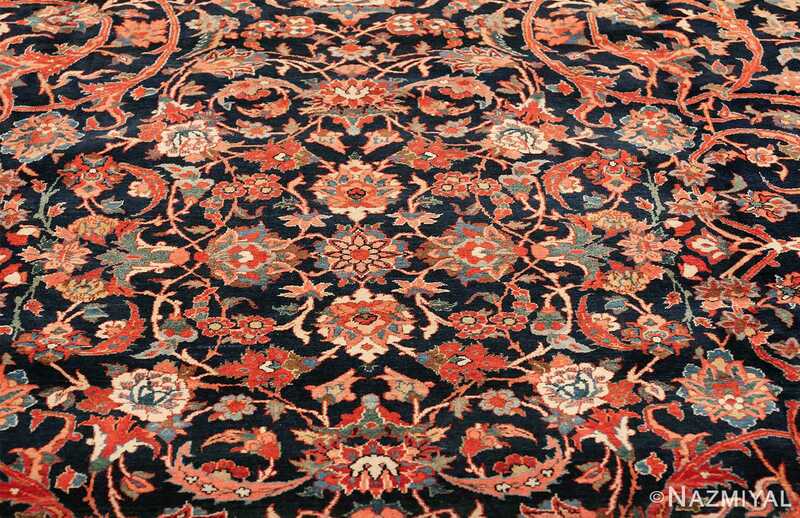 The cosmopolitan arabesque displays a collection of sensuous vinescrolls arranged in a flamboyant medallion-style pattern. 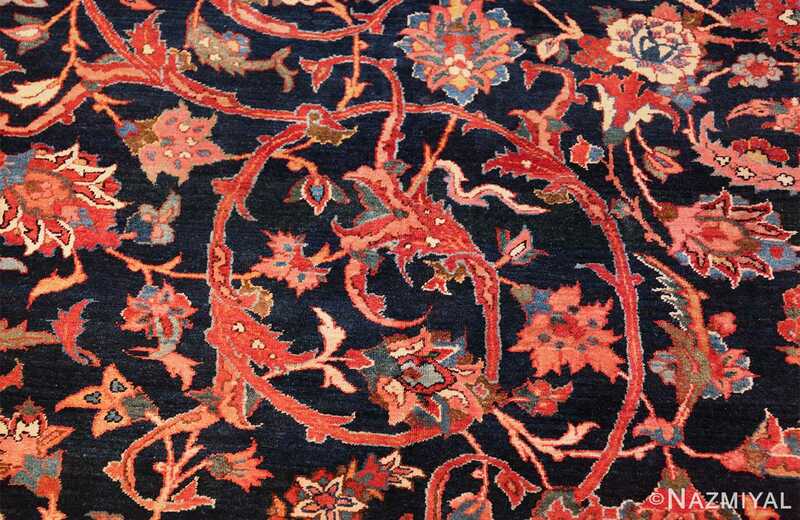 Recurving tendrils with stylized calyces meander across the obscure blue ground linking large-scale palmettes, Kerman-style carnations and feathered leaflets with polychromatic accents. 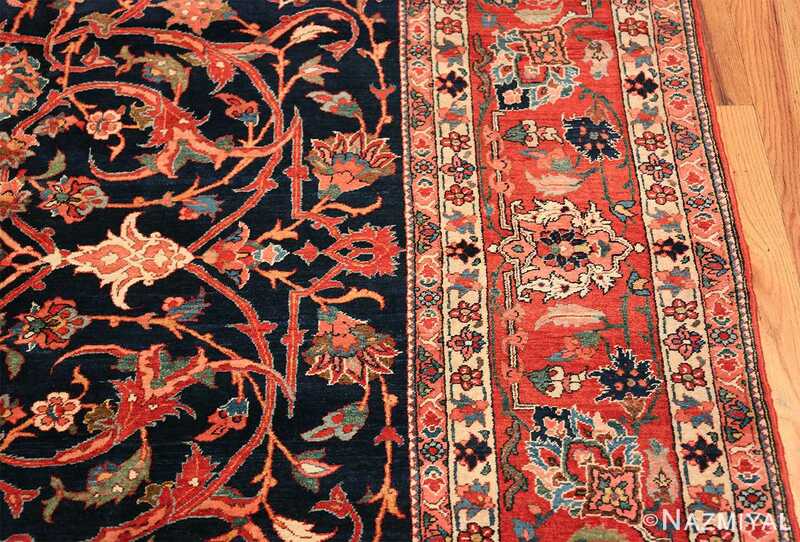 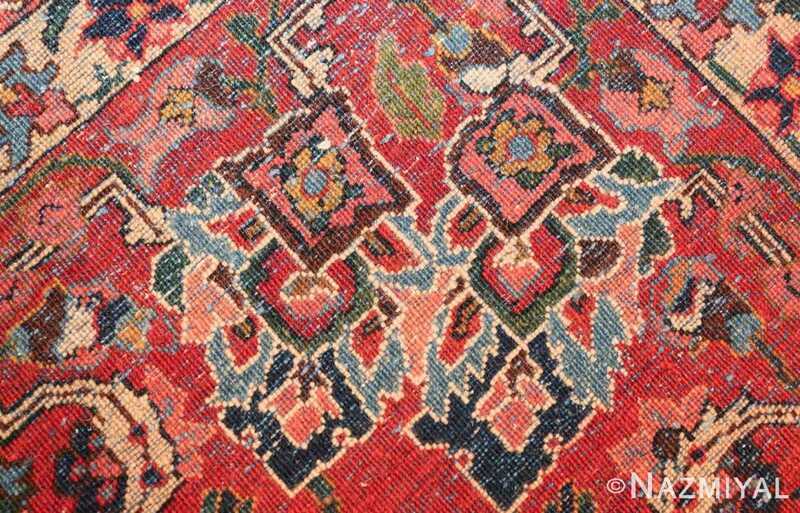 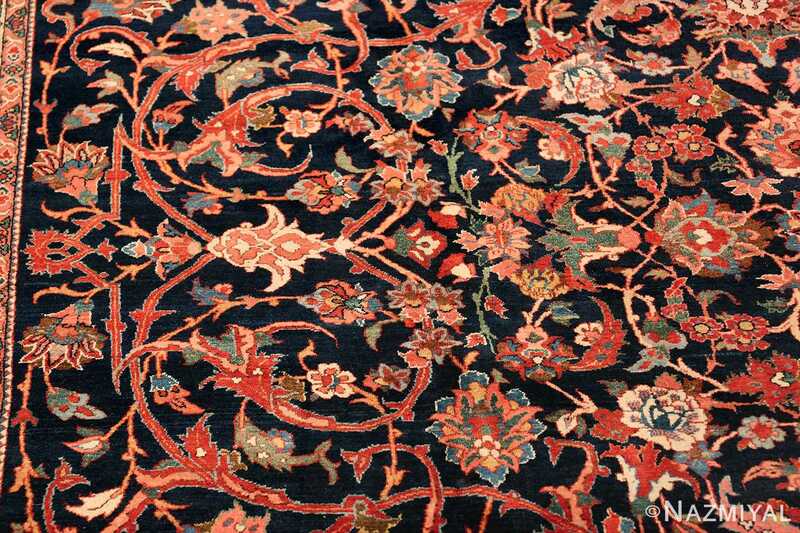 These intricate motifs are enhanced by vivid hues of crimson, navy color and ivory juxtaposed against the deep, dark ground. 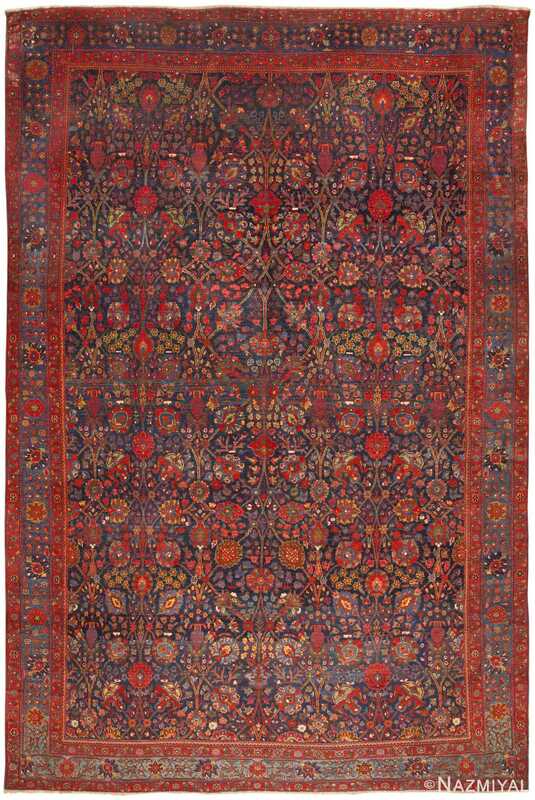 Lavish crimson main borders filled with graceful turtle motifs provide a subtle northwest Persian influence while maintaining the curvilinear city-style form that gives this vintage Bidjar rug such a formal appearance and a level of elegance associated with the golden age of Persian art. 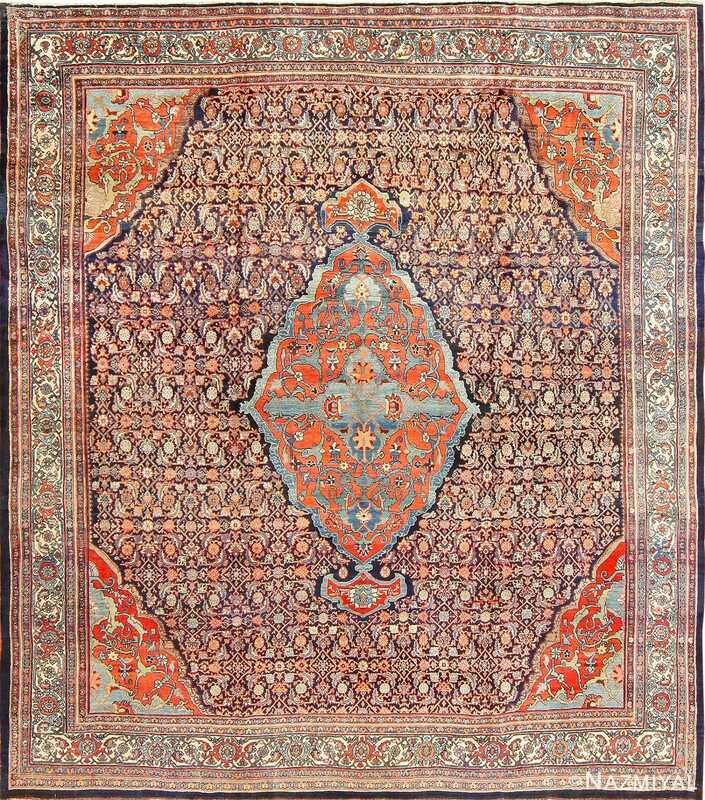 This astonishing antique Bidjar rug is notable for its extraordinarily detailed field, the rich, geometric pattern of which gorgeously frames a stunning central medallion.